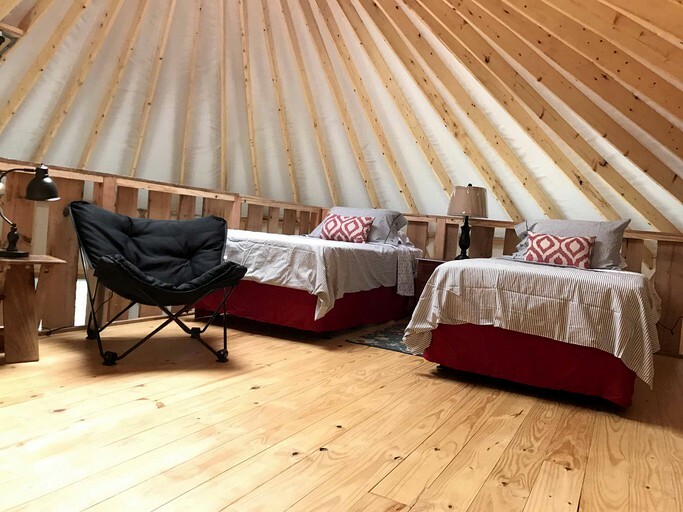 This amazing yurt rental can be found on the banks of a river near Roanoke, Virginia. It is perfect for a family vacation as it can sleep a total of six guests and offers a range of bed options to suit the needs of the group. Guests will find all of the beds dressed in comfortable linens to ensure that they can sleep peacefully. 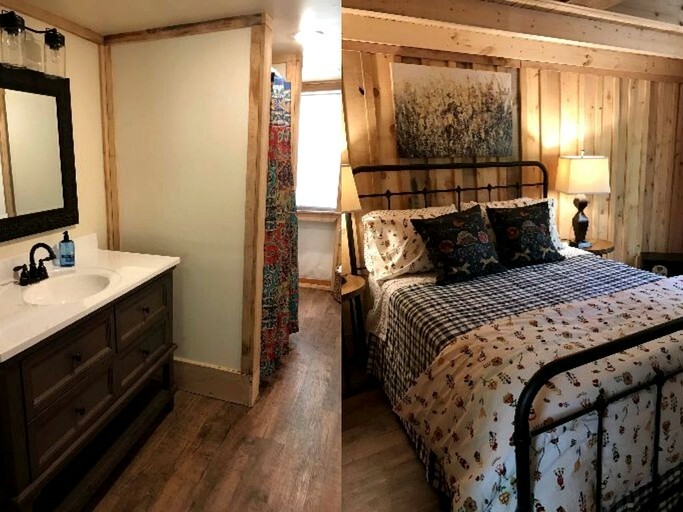 The rental also has its own bathroom to offer glampers plenty of privacy. 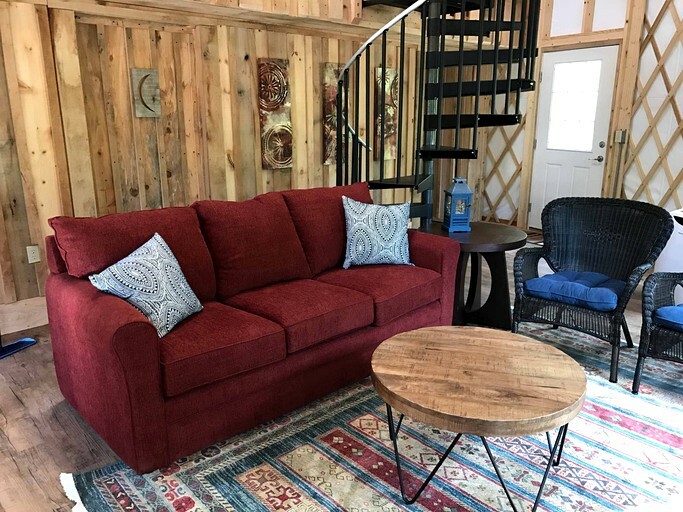 Downstairs, there is a cozy living area that offers couches where guests can put their feet up and relax in front of a movie on the cable TV after an amazing day spent down at the river. 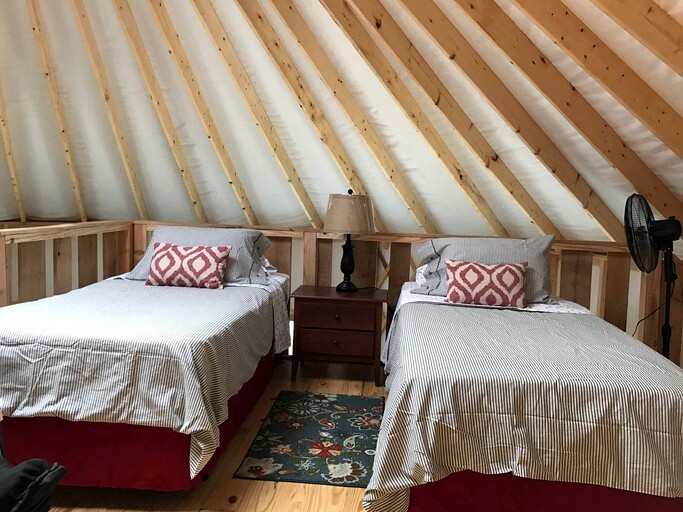 There is also Wi-Fi in the yurt to ensure that guests can stay in touch with loved ones during their vacation. Guests will find their rental equipped with everything needed to relax in style. The hosts supply all linens and towels for guests' convenience. The property boasts its own clean and natural swimming hole for guests to enjoy. 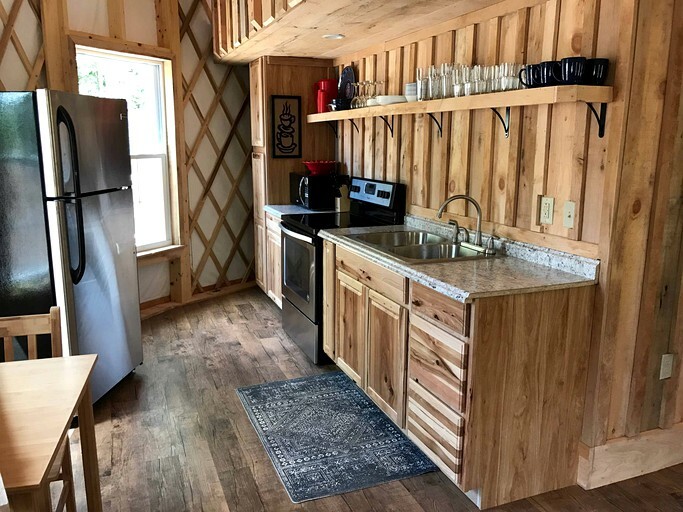 Glampers will find this gorgeous property set on 1,515 acres of stunning natural wilderness in Virginia. It is ideally located on the banks of the New River, which meanders its way through the property. 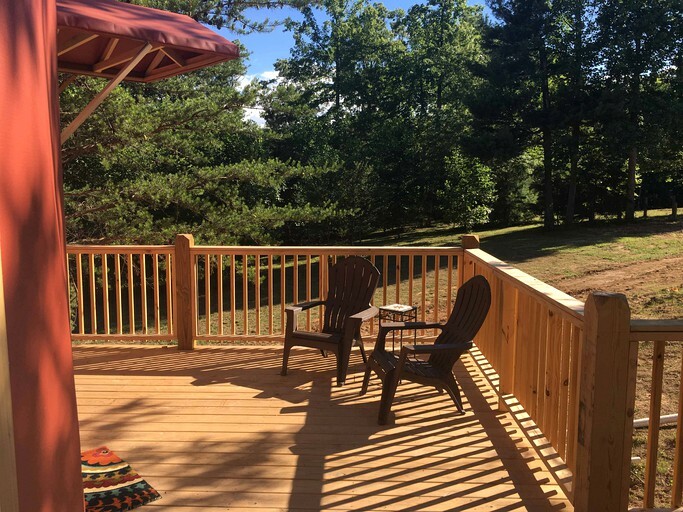 In addition, the property leads out and across the amazing Appalachian Mountains. 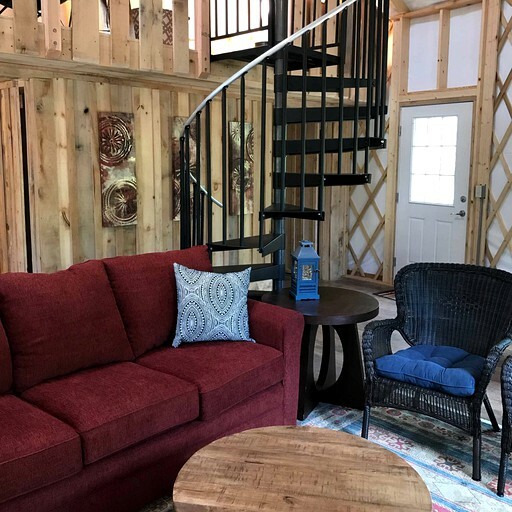 With over 40 miles of trails to explore right from the property, this is the perfect chance for guests to come and enjoy a getaway in the heart of nature. 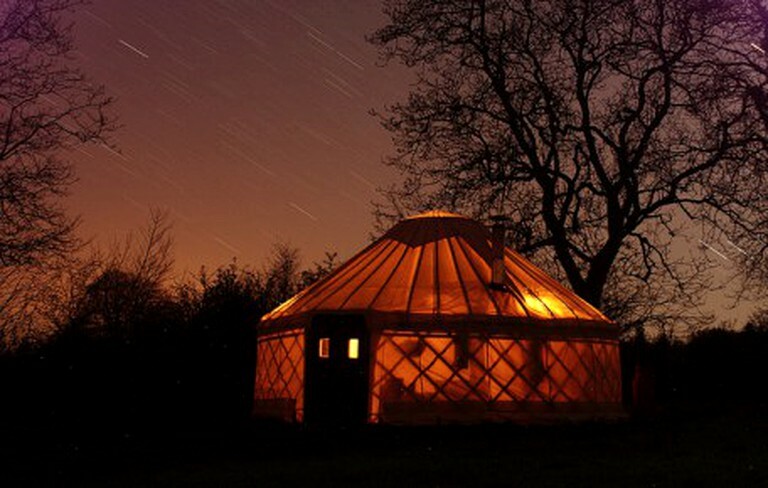 The ideal setting of this glamping property means that there is no end to the exciting activities available for guests to enjoy during their stay. The hosts are committed to ensuring that guests make the most of the riverfront setting and team up with a local business to offer a range of activities. This includes canoeing, kayaking, tubing, or paddleboarding on the New River. Guests can also enjoy fishing in a quiet spot on their own or head out with a guide to learn the best tactics for catching trophy fish. Hiking and cycling are wonderful ways to explore the hundreds of acres of land that surrounds the property. The trails are also suitable for ATV if guests are keen to catch a thrill. If guests are hoping to enjoy a more urban experience, there are shops nearby for picking up souvenirs and antiques. This area also boasts many restaurants for when guests fancy enjoying a meal out.